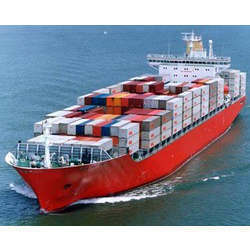 We are a leading company involved in providing International Cargo Handling Service. Our experienced professionals always take care of various problems while rendering these services. Our services are known for reliability and timely execution. Further, we are dedicated to providing quality and friendly professional service at a competitive price. Unitrans Lines India Private Limited is the well known and prominent organization in their work field. We are working as a Private Limited Company. Our business headquarter is situated at Tamil Nadu, India. We provide Road Cargo Service, Cargo Handling Service, Logistic Service, Cargo Courier Service, Custom Brokerage Service, Air Cargo Service and many more. We are appreciated among our valued clients due to our good quality services that we offer at affordable prices. The characteristics of our services are executed by professionals, quick and prompt service, applied latest methodology and many more. The services are rendered by expert professionals. The services are also customized as per the requirements of the customers.